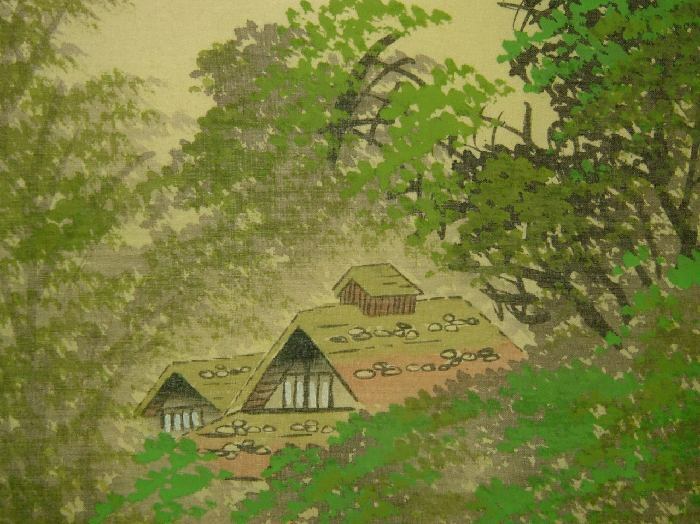 Shuko (scroll artist) "Mountain Landscape with Farm" - Scroll/Makuri roll - Chinese and Japanese woodblock prints for sale, silkscreen, scrolls, watercolor, lithographs. 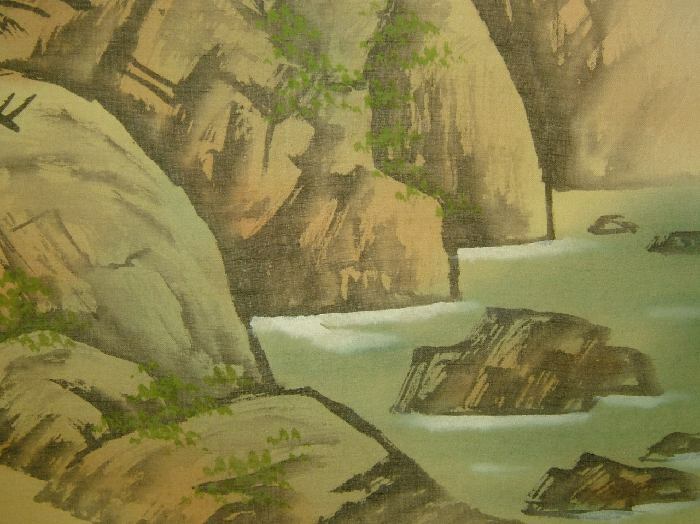 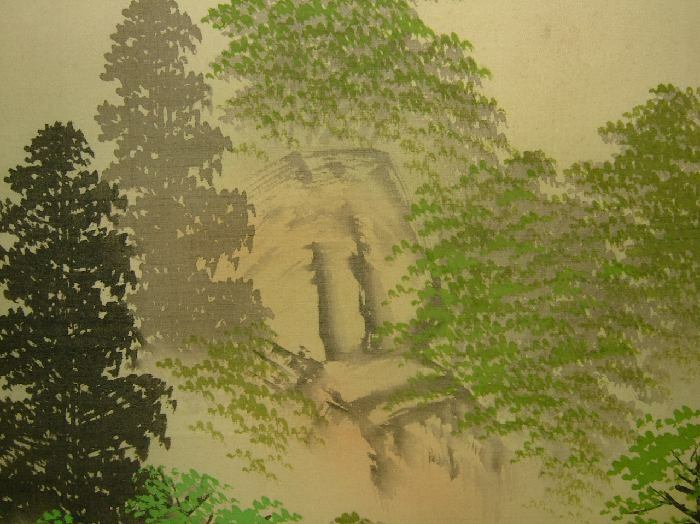 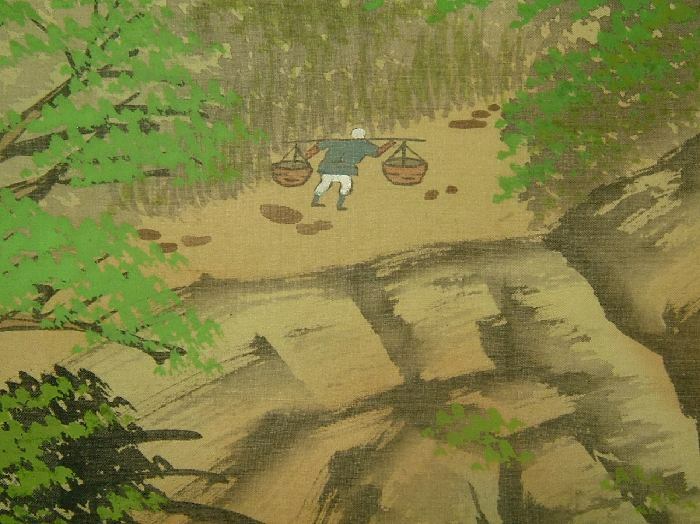 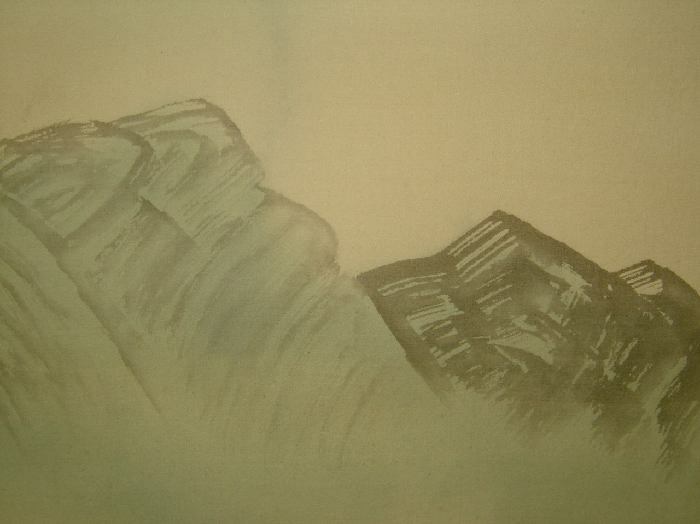 Artwork Details for Shuko (scroll artist) "Mountain Landscape with Farm"
Condition: Fine condition - very clean indeed! 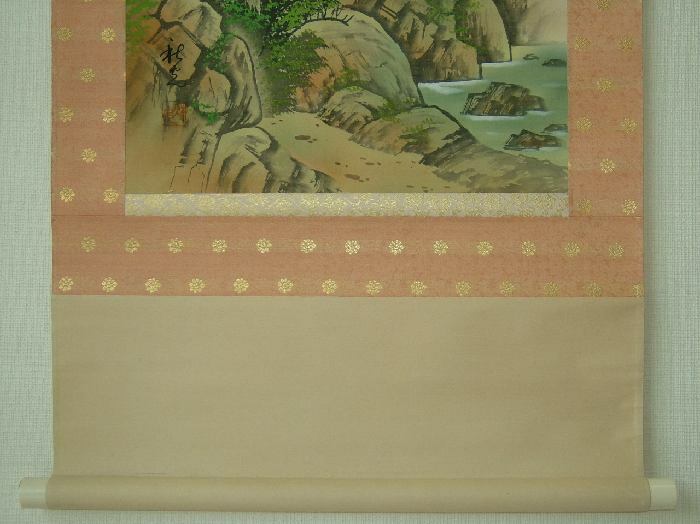 Notes: Handpainted on silk with silk mount. 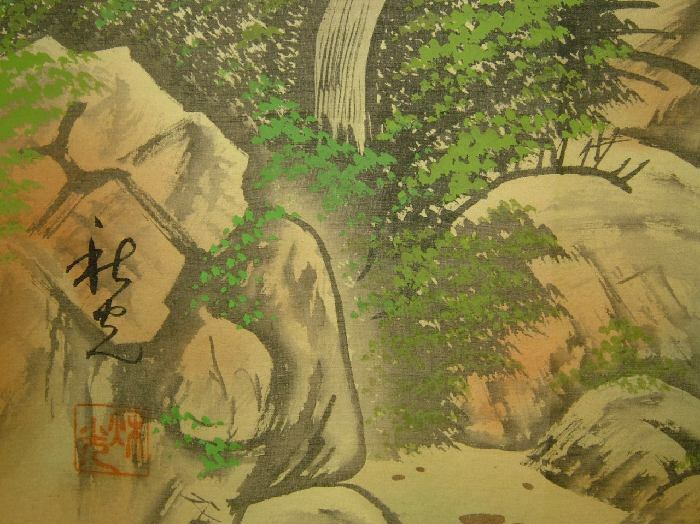 Artist signature and seal at lower left.